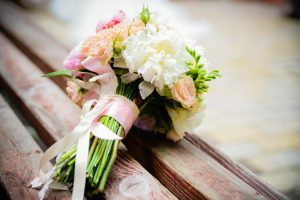 If you have your heart set on one type of flower, odds are that you’re going to be disappointed by the time your wedding day rolls around – it’s not uncommon for certain florals to not be available when you thought they would. The farther in advance you order, the less likely it is that exactly what you want will be available on your wedding date. The solution is to remain flexible. Instead of choosing a flower type, set your mind on a shape and color. There’s no way you’re going to get through your entire wedding planning checklist without a snag here and there. If for some reason the flowers you ordered are no longer available, it’s important to have a backup plan. When you first order flowers from your florist, decide on a plan “B” order as well. Most importantly, don’t forget to include this information in your contract. Some people think that when it comes to floral arrangements and centerpieces, the bigger (and taller), the better. Unfortunately, oversized arrangements can obstruct important views, either of other guests at the wedding or of the landscape outside. When planning your ceremony, reception and florals, think of the big picture. Will guests still be able to talk to each other across the table if your centerpieces are sky high? Did you book a venue because of its beautiful mountain view, but you’re going to block it with arrangements placed in front of each window? Photo courtesy of Wedding Chicks. No matter how clearly you think you can explain your floral vision to your florist, what you say may not be exactly what she hears. Showcase your ideas with solid proof by way of photos and images. Browse Pinterest and bridal magazines, and then bring those pictures along with you when meeting with your florist. That way, there’ll be no confusion about your expectations. Some brides feel that it will look totally chic and uniform to have their bridesmaids carry bouquets that perfectly match their gowns. In theory, this is a good idea, but in reality, the flowers are going to be lost against the dress fabric. 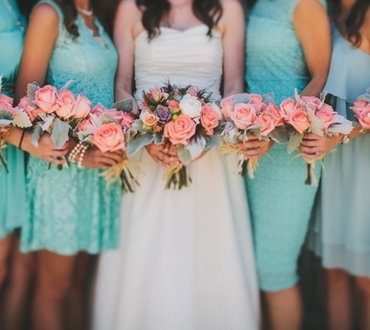 Instead, choose bouquets that will complement the dresses, not blend in with them. Think bright yellow against aqua or pink against cream. It’s fine to have sweet smelling flowers in your bouquet, but you should absolutely choose a different type of floral for your reception table centerpieces. Flowers that smell strongly can overwhelm a room and ruin a meal. 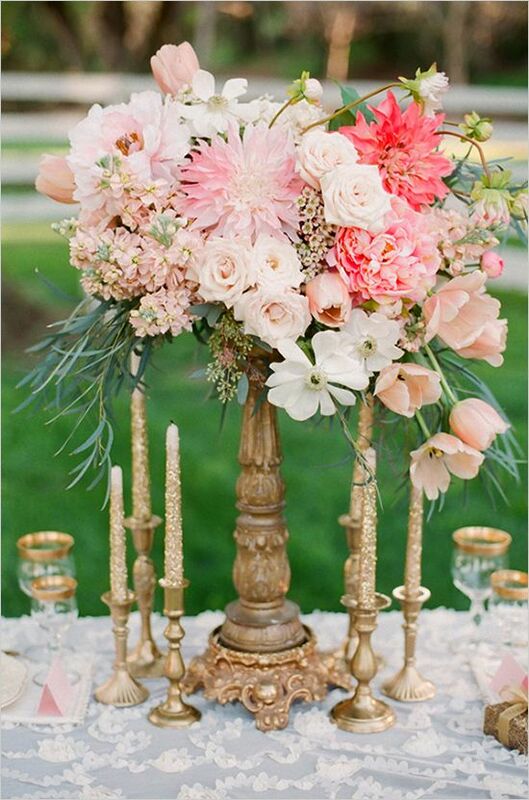 It’s fine to not have perfectly matching florals between your centerpieces, bouquets and ceremony arrangements. A lot of brides assume that their wedding flowers will be just fine on their own for the entire day. However, different flowers have different needs. For example, hydrangeas have to stay hydrated in order to not wilt. After just three hours out of the water, they’ll start to die, making them a bad option for your bouquet but a good option to place in vases at the venue. If you don’t want to worry about keeping flowers alive, ask your florist to suggest low maintenance florals that you won’t have to maintain. Whatever you do, don’t wait until the last minute to order your flowers. If they’re being shipped, they could be traveling from as far away as South America or Holland. It can take up to six weeks to have your flowers available and delivered, so if you leave this “To Do” item for the end of your checklist, you could be stuck with whatever your florist has on hand – and odds are there aren’t going to be enough flowers for your wedding day. Sure, a massive bouquet will look gorgeous in photos and make a huge impact, but it’s also going to be heavy, bulky and a nightmare to carry for the day. Do yourself a favor and order a regular sized bouquet – your arms will thank you for the next day.